Comparative Market Analysis can be explained as the process of scrutinizing the various trends, pricing and other market-related aspects of business in comparison to its competitors. The comparative market analysis is useful to the manufacturers or service providers and also the consumers. 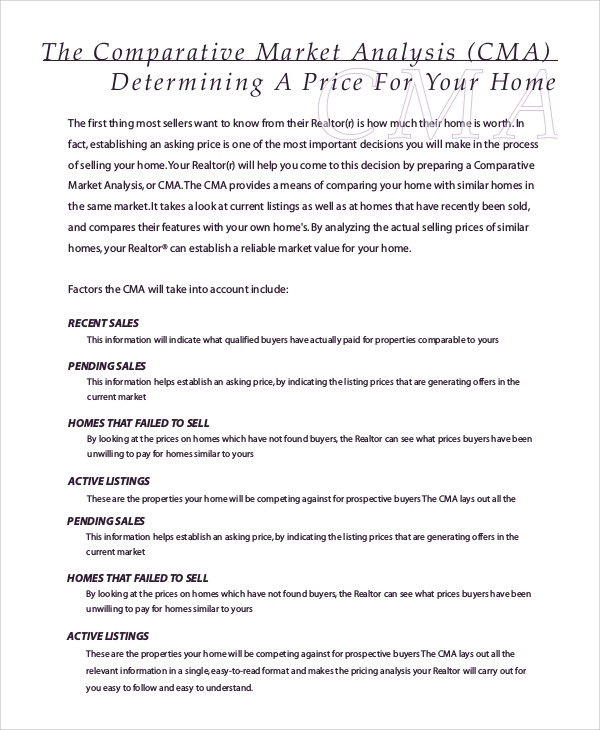 For example, while buying or constructing a building, one must do a comparative Market Analysis Samples to get the knowledge of its competitors, the existing market rate, the features of the building, etc. 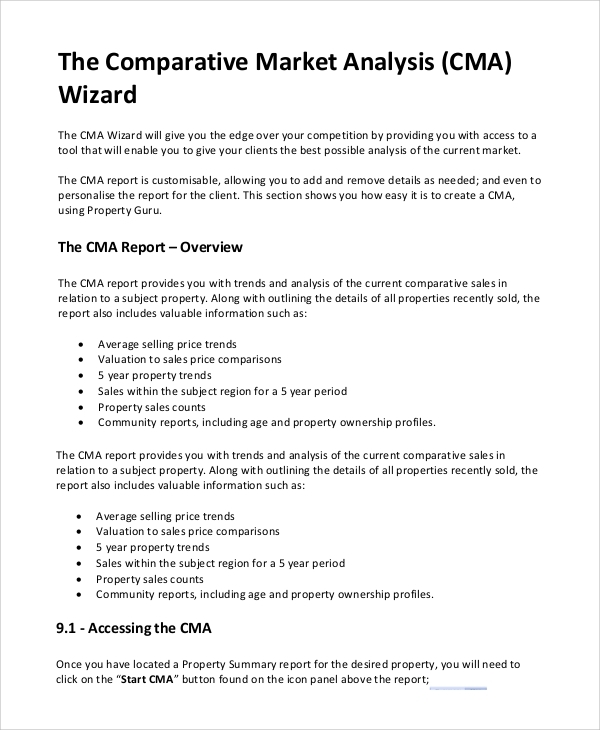 Comparative Market Analysis plays a significant role in the deciding the price of products and services based on parameters such as the area of analysis, target consumers, competitor prices, and other factors. 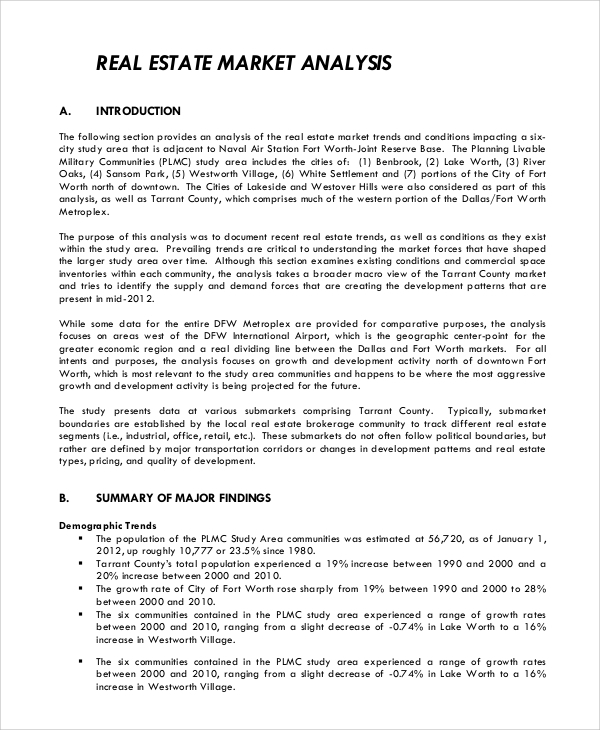 Analysis Reports is the output of the scrutiny of various factors of a specific market. It gives an idea of the existing practices in the market and the future proceedings. 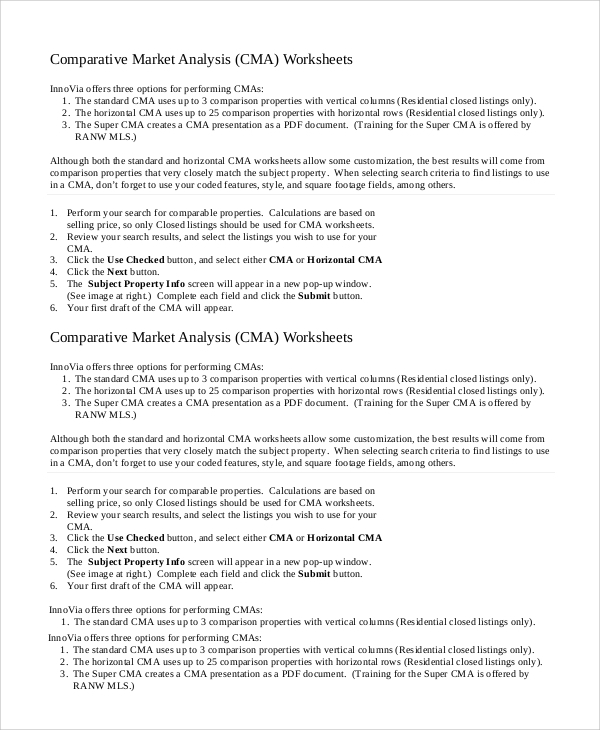 CMA is a handy tool for Business Analysis Samples. It not only helps in understanding the various dominant features and practices of a particular industry but also helps in planning the future actions. CMA is necessary mainly for the strategic business planning, as it acts as a learning lesson to find the various loopholes that are prevalent in the current area of research. CMA is a process that must not be skipped, as this process is the key to all actions, strategic and financial, that needs to be taken in future. A CMA well implemented can work wonders for all businesses of all levels. 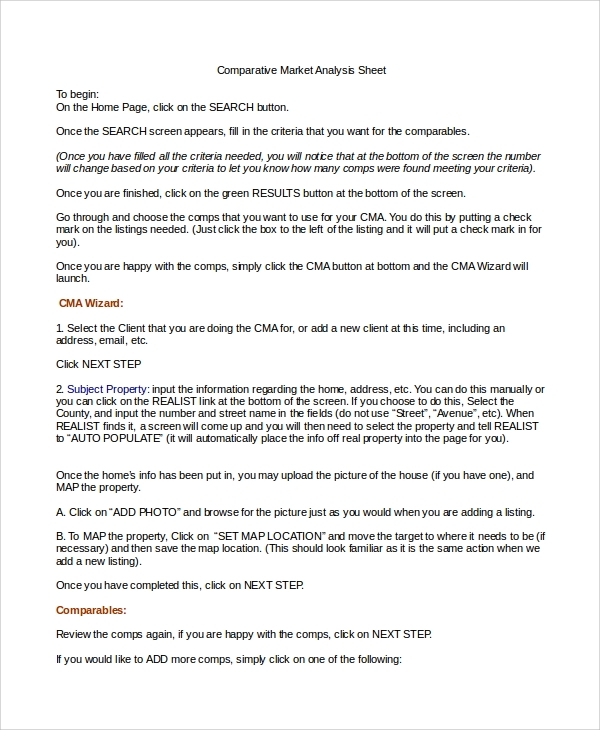 A CMA sheet is a document that contains data of different comparables and the parameters to be compared. 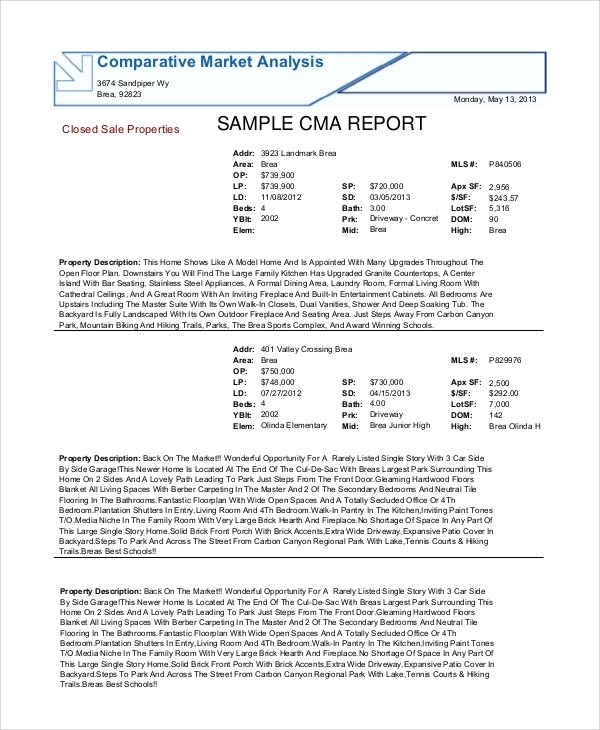 These can be created by using CMA software or by manually entering the analysis data. 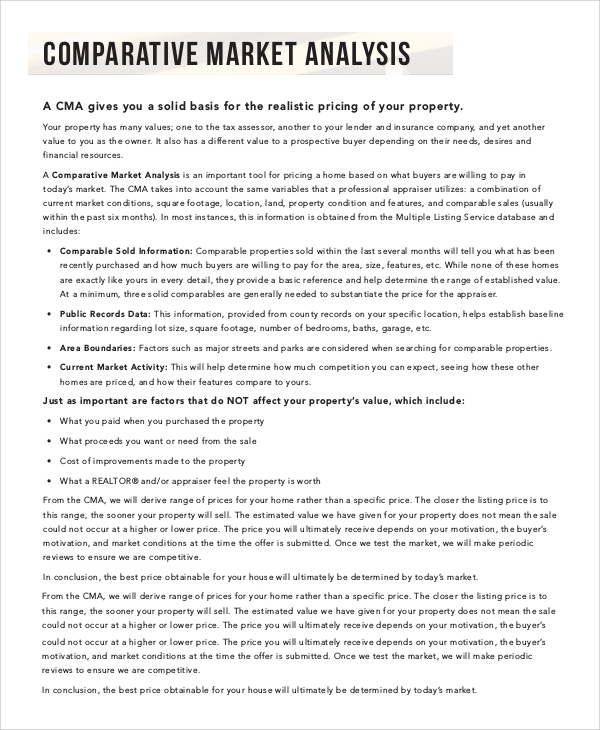 The property for CMA differs from one industry to another. 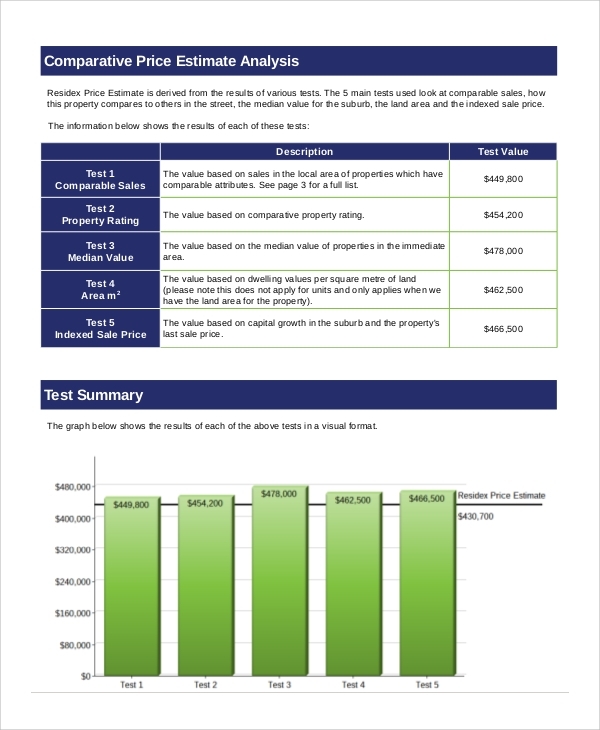 Four major factors are largely considered: area of analysis, income group, current market trends and competitor pricing. 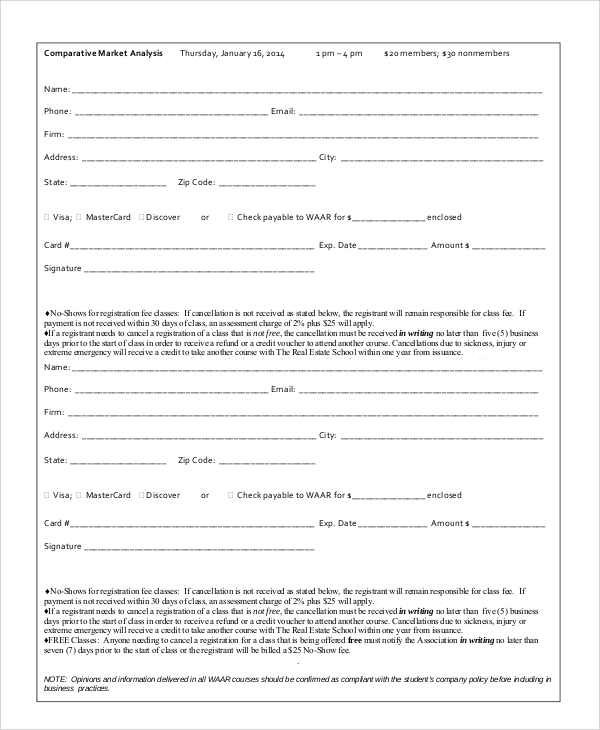 CMA is a tool that can be used use at the convenience of the user as per his required details. The details too vary from person to person, and so does the factors impacting the present market conditions. 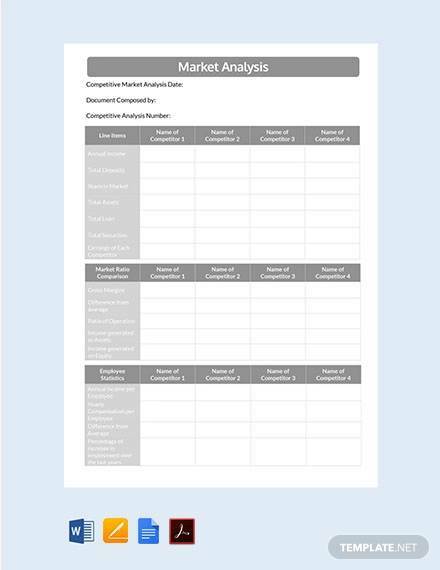 Comparative Market Analysis is a systematic and strategic tool that enables people at different levels and of different groups to understand, deliberate, decide and plan their future Financial Analysis Samples activities according to the existing tendencies in a specific market for better results in the forthcoming fiscal period, to earn necessary profits.